Built by Bilgin Yachts in Istanbul, Turkey, in 2015, Clarity combines the best of old and new, with a design reminiscent of the classic yachting era yet with all the best of modern technology and comforts. Her interior boasts stunning millwork and stone application throughout. The spacious main saloon and sky lounge allows for large social gatherings and entertainment. She features 5 generous guest cabins, including an on-deck bi-level master stateroom with panoramic views, a large wardrobe and luxurious ensuite bathroom. An under-lit agate bar is the focal point of the sky lounge deck, with ample seating, and the latest in audio and visual entertainment available. 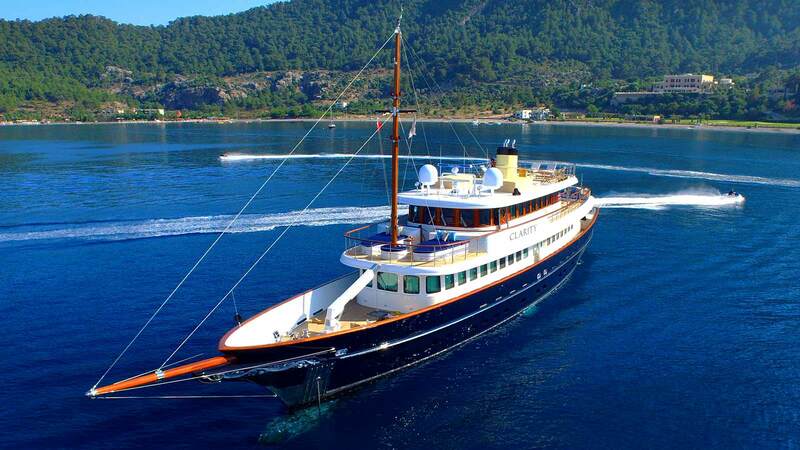 Find more about MegaYacht Rentals here!